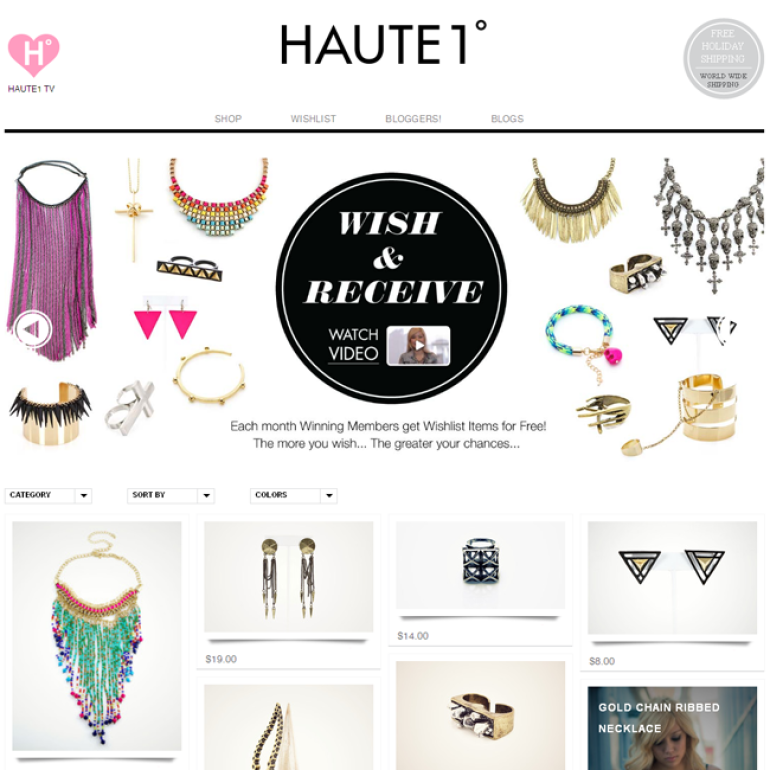 Client Profile: Haute1.com is an online store that sells fashion accessories. Challenge: To develope a Shopify based theme and a custom application. Client wanted us to develop a theme and a custom application for Shopify which provides a unique membership feature. Haute1.com is an online store that sells fashion accessories. The site was developed on Shopify, an e-commerce platform that allows individuals and businesses to create online stores. We have developed a Shopify based theme and a custom application .Below are the list of functionalities that we have added which were not available on Shopify by default. Customers can login/register by using their Facebook credentials. Every product shows two different price details: Member Price and Original Price. Video, color, category and subcategory can be created and added to the product from the app itself. A flexible search by text, price, color, category can retrieve products accordingly. Sneak Peak feature: Which provide users a trial run of 1 hour with membership price and upon expiry of the time a membership activation request to the customer. We have also enabled the admin of the site to manage a lot of available functionalities like membership price management, member management, gateway integration, recurring payment of membership, membership cancellation, coupon code through the custom app we have developed. Additionally, the members of the site can access the reduced (membership) price and can purchase a product according to the revised pricing details.